Jane Curtis: a young orphan who travels to Mr. Tom James' ranch. Desperate for a new life away from the orphanage and seeking one of adventure, Jane decides to help out on the ranch and look after Mr. James' son, Toby. Michael Williams: the typical American cowboy with an egotistical attitude. It seems that he could have any girl that he pleased. The problem is Jane can't resist Michael's broad frame and rugged good looks. What will happen when the sweet young oprhan Jane strikes emotion into the cowboy's steel heart? I enjoyed the story very much. It is very well written. I didn't enjoy the narration as much. First my praises to the narrator, Nick Plakias, he did an amazing job telling the story. This was truly an amazing story of love and courage of a young woman, Jane. 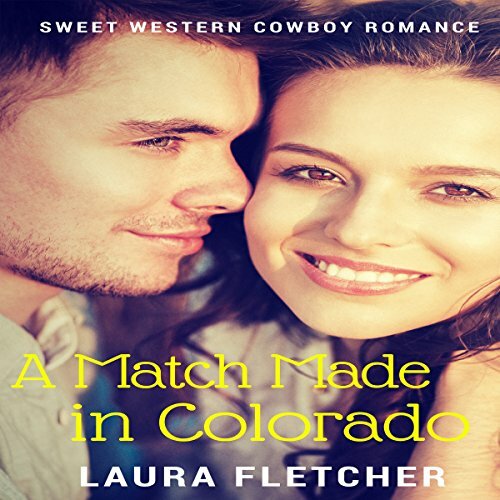 She left the orphanage back east to move to a ranch in Colorado to care for a boy who lost his mother. Jane was so insecure about the job but was determined to make the most of it. What she didn't count on was falling in love within the first twenty-four hours. Who with? Does he return that love? How does she make out on the ranch? These questions and more will be answered in this book or audio book which I listened to. Please get the book or audio book to find out what happened. I enjoyed it very much and I'm sure you will enjoy this book too.